Steps for accessing your letter of completion. 1. Click on the "Account" button at the top of our site, then click on the blue "My Edge Login" button in the drop-down. 2. 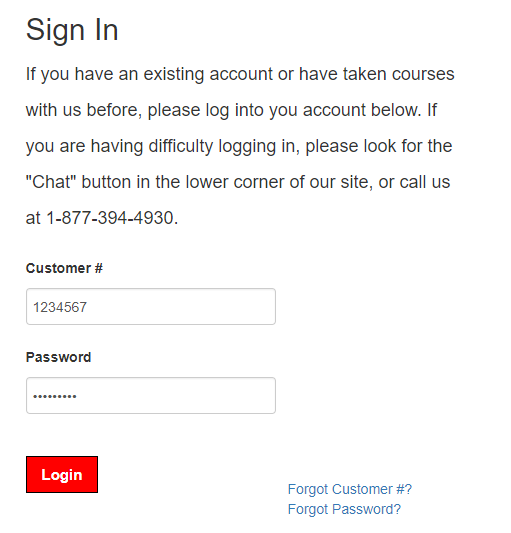 Scroll down and enter your customer number and password. 3. Once you're logged in, you'll notice a number of blue buttons across the top. Click on the blue "my course history" button. 4. Scroll down to the listing of your courses. 5. Click on the triangle to the left of your course title. 6. You should now be able to click on and print your Letter of Completion.